Lake Titicaca has a surface elevation of 3,812 m (12,507 ft). 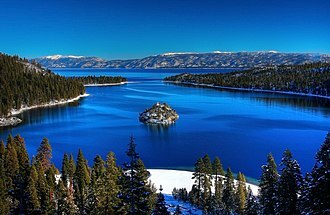 The "highest navigable lake" claim is generally considered to refer to commercial craft. 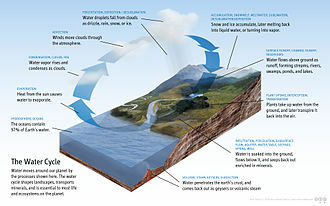 Numerous smaller bodies of water around the world are at higher elevations. For many years, the largest vessel afloat on the lake was the 2,200-ton, 79-metre (259 ft) SS Ollanta. Today, the largest vessel is most likely the similarly sized train barge/float Manco Capac, operated by PeruRail. Lacustrine sediments and associated terraces provide evidence for the past existence of five major prehistoric lakes that occupied the Tinajani Basin during the Pliocene and Pleistocene. 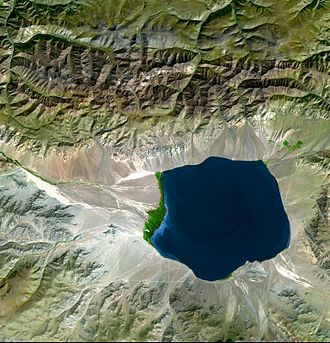 Within the northern Altiplano (Tinajani Basin), these prehistoric lakes were Lake Mataro at an elevation of 3,950 m (12,960 ft), Lake Cabana at an elevation of 3,900 m (12,800 ft), Lake Ballivián at an elevation of 3,860 m (12,660 ft), Lake (North) Minchin at an elevation of 3,825 m (12,549 ft), and Lake (North) Tauca at an elevation 3,815 m (12,516 ft). 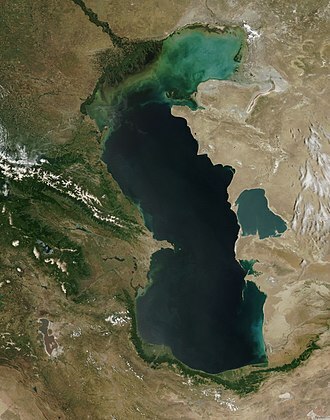 The age of Lake Mataro is uncertain—it may date back to the Late Pliocene. Lake Cabana possibly dates to the Middle Pleistocene. Lake Ballivián existed between 120,000 and 98,000 BP. Two high lake stands, between 72,000 – 68,000 BP and 44,000 – 34,000 BP, have been discerned for Lake Minchin within the Altiplano. Another ancient lake in the area is Ouki. 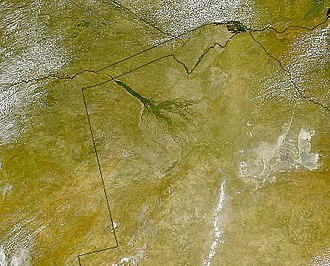 The high lake levels of Lake Tauca have been dated as having occurred between 18,100 and 14,100 BP. During 1987-92, Johan Reinhard directed underwater archaeological investigations off of the Island of the Sun, recovering Inca and Tiahuanaco offerings. These artifacts are currently on display in the site museum of the village of Challapampa. Archaeological excavations indicate that the Tiwanaku peoples (around 650-1000 AD) built a major temple on the Island of the Moon. Pottery vessels of local dignitaries dating from this period have been excavated on islands in Lake Titicaca. 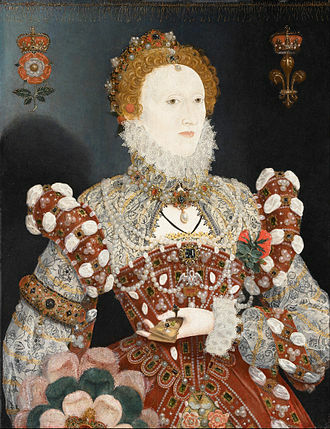 Two of them were found in the 19th century and are now in the British Museum in London. The structures seen on the island today were built by the Inca (circa 1450–1532) directly over the earlier Tiwanaku ones. In 1905, Earle's Shipbuilding at Kingston upon Hull on the Humber built SS Inca. By then, a railway served the lake, so the ship was delivered in kit form by rail. At 67 m (220 ft) long and 1,809 tons, Inca was the lake's largest ship thus far. In the 1920s, Earle's supplied a new bottom for the ship, which also was delivered in kit form. Trade continued to grow, so in 1930, Earle's built SS Ollanta. Her parts were landed at the Pacific Ocean port of Mollendo and brought by rail to the lake port of Puno. At 79 m (260 ft) long and 2,200 tons, she was considerably larger than the Inca, so first a new slipway had to be built to build her. She was launched in November 1931. ^ a b c d e f g h i j k "Data Summary: Lago Titicaca (Lake Titicaca)". International Lake Environment Committee Foundation - ILEC. Archived from the original on 2011-07-23. Retrieved 2009-01-03. ^ a b c Dejoux, C. and A. Iltis (editors) 1992 Lake Titicaca: A Synthesis of Limnological Knowledge. 68. Kluwer Academic Publishers, Boston. ^ Roche, M. A., J. Bourges, J. Cortes and R. Mattos 1992 Climatology and Hydrology of the Lake Titicaca Basin. In Lake Titicaca: A Synthesis of Limnological Knowledge, edited by C. Dejoux and A. Iltis, pp. 63-88. Monographiae Biologicae. vol. 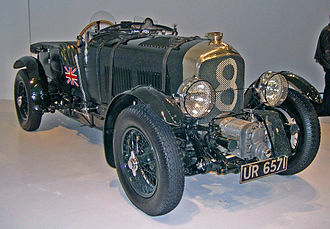 68, H. J. Dumont and M. J. A. Werger, general editor. Kluwer Academic Publishers, Boston. ^ Cross, S. L., P. A. Baker, G. O. Seltzer, S. C. Fritz and R. B. Dunbar 2001 Late Quaternary Climate and Hydrology of Tropical South America Inferred from an Isotopic and Chemical Model of Lake Titicaca, Bolivia and Peru. Quaternary Research 56(1):1-9. ^ Mourguiart, P., T. Corrége, D. Wirrmann, J. Argollo, M. E. Montenegro, M. Pourchet and P. Carbonel 1998 Holocene Palaeohydrology of Lake Titicaca Estimated from an Ostracod-Based Transfer Function. Palaeogeography, Palaeoclimatology, Palaeoecology 143:51-72. ^ Baucom, P. C. and C. A. Rigsby 1999 Climate and Lake Level History of the Northern Altiplano, Bolivia, as Recorded in Holocene Sediments of the Rio Desaguadero. Journal of Sedimentary Research 69(3):597-611. ^ Talbi, A., A. Coudrain, P. Ribstein and B. Pouyaud 1999 Computation of the Rainfall of Lake Titicaca Catchment During the Holocene. Géosciences de Surface 329:197-203. ^ Weis, Almut. 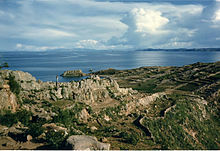 "GNF - Lake Titicaca". www.globalnature.org. ^ "GNF - Threatened Lake of the Year 2012". GNF. 22 March 2012. ^ La Barre, W. (1948) The Aymara Indians of the Lake Titicaca Plateau, Bolivia. American Anthropological Association Memoir. no. 68, pp. 208-210. ^ Parenti, Lynne R. (1984). A taxonomic revision of the Andean Killifish Genus Orestias (Cyprinodontiformes, Cyprinodontidae). 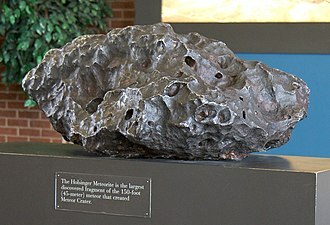 Bulletin of the American Museum of Natural History 178: 107-214. ^ González, E.R. ; and Watling, L. (2003). Two new species of Hyalella from Lake Titicaca, and redescriptions of four others in the genus (Crustacea: Amphipoda). Hydrobiologia 497(1-3): 181-204. ^ Marocco, R., R. Baudino, and A. Lavenu, 1995, Intermontane Late Paleogene–Neogene Basins of the Andes of Ecuador and Peru: Sedimentologic and Tectonic Characteristics. in A.J. Tankard, R. Suárez Soruco, and H.J. Welsink, eds., pp. 597-613, Petroleum basins of South America: Memoir no. 62. American Association of Petroleum Geologists, Tulsa, Oklahoma. ^ a b c Fritz, S. C., P. A. Baker, G. O. Seltzer, A. Ballantyne, P. Tapia, H. Cheng, and R. L. Edwards, 2007, Quaternary glaciation and hydrologic variation in the South American tropics as reconstructed from the Lake Titicaca drilling project. 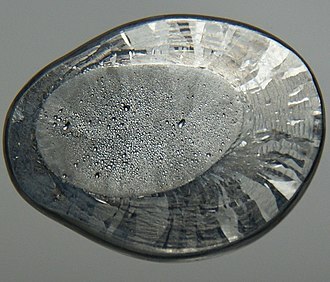 Quaternary Research 68(3):410-420. ^ Fritz, S.C., P.A. Baker, P. Tapia, T. Spanbauer, and K. Westover (2012) Evolution of the Lake Titicaca basin and its diatom flora over the last ~370,000 years. Palaeogeography, Palaeoclimatology, Palaeoecology 317-318:93-103. ^ Reinhard, Johan (1992) "Underwater Archaeological Research in Lake Titicaca, Bolivia." In Ancient America: Contributions to New World Archaeology, N. Saunders (ed. ), Oxford: Oxbow Books, pp. 117-143. ^ a b c d "The Lake Steamers - Post 1900". 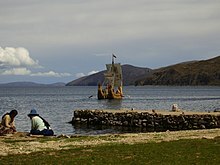 Yavari - Lake Titicaca - Peru. The Yavari Project. Archived from the original on 2011-09-28. Retrieved 2011-05-21. Threatened species are any species which are vulnerable to endangerment in the near future. Species that are threatened are sometimes characterised by the population dynamics measure of critical depensation and this quantitative metric is one method of evaluating the degree of endangerment. Species which have not been evaluated, or do not have sufficient data are not considered threatened by the IUCN, Threatened species are referred to as a red-listed species, as they are listed in the IUCN Red List of Threatened Species. Subspecies and stocks may be classified as threatened and it is the less protected of the two protected categories. The Bay checkerspot butterfly is an example of a threatened subspecies protected under the ESA, for example, the trumpeter swan is threatened in the state of Minnesota, while large populations still remain in Canada and Alaska. The EPBC Act recognises and protects threatened ecosystems such as plant communities, some species, such as Lewins rail, are not listed as threatened species under the EPBC Act, but they may be recognised as threatened by individual states or territories. PeruRail is a railway operator working tourist and charter services in southern Peru. It was founded in 1999 by peruvian entrepreneur Lorenzo Sousa and British company Sea Containers. The main line between the port of Matarani, Arequipa and Puno on Lake Titicaca was formerly known as the Ferrocarril del Sur and it is the third highest railway in the world after the Qinghai–Tibet Railway to Tibet and the FCCA line from Lima to Huancayo. From Cusco, PeruRail provides passenger services on the 3 ft gauge Ferrocarril Santa Ana to Aguas Calientes and it operates in a 50/50 joint venture between Belmond and Peruvian Trains and Railways, owned by Lorenzo Sousa Debarbieri and son Renzo Sousa. Lorenzo Sousa Debarbieri is the chairman of the board of directors of the company, PeruRails routes are divided into two sections, there are no tracks through Cusco. The line between Cusco and Machu Picchu is a 3 ft narrow gauge line, while all other the lines are 4 ft 8 1⁄2 in standard gauge. However, this section of the route is suspended, and all trains to Machu Picchu leave from Poroy, just outside Cusco. From Poroy, the line goes northwest to Ollantaytambo, where the branch from Urubamba joins. Tracks formerly continued into the jungle, but they were destroyed by recent flooding, the Cusco-Puno tracks, formerly Ferrocarril del Sur, start at Matarani port, go through Arequipa and enter Puno Region, where the line splits in two at Juliaca. The eastern branch goes to Puno, the branch runs into Cusco. It is possible to reach Aguas Calientes by train, hiking along the tracks is prohibited. Reaching Agua Calientes is possible by taking a bus from Cuzco to Santa Maria, a taxi to La Hydroelectrica, taking train from Hydroelectrica to Agua Calientes is possible. Helicopter services have been suspended indefinitely, in addition to the train, visitors can reach Machu Picchu via several inbound hiking trails, including the Classic Trail from Cusco, but there is no hiking back the other way on the Inca Trail. The Belmond Hiram Bingham Pullman, named after Machu Picchus American discoverer and it departs from Poroy at 9 a. m. than other departures. Isla del Sol is an island in the southern part of Lake Titicaca. 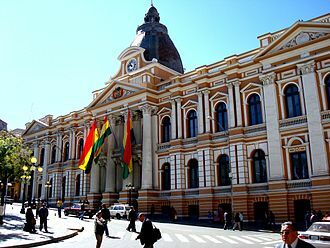 It is part of the modern State of Bolivia and is part of the La Paz Department, the terrain is harsh, it is a rocky, hilly island with many eucalyptus trees. There are no vehicles or paved roads on the island. The main economic activity of the approximately 800 families on the island is farming, with fishing, of the several villages and Challapampa are the largest. There are over 80 ruins on the island, most of these date to the Inca period circa the 15th century AD. Archaeologists have discovered evidence that people lived on the island as far back as the third millennium BC, many hills on the island contain agricultural terraces, which adapt steep and rocky terrain to agriculture. Among the ruins on the island are Titi Qala, a building called Chinkana, Qasa Pata. In the religion of the Incas, it was believed that the sun god was born here, the Aymara name for the island is Titikaka. The original meaning of word is not known. Some linguists and archaeologists believe the name to be a corruption of titi, the chronicler Bernabé Cobo documented two versions of an Inca origin myth that took place on the northern part of this island. Telmatobius culeus, commonly known as the Titicaca water frog, is a very large and critically endangered species of frog in the family Telmatobiidae. It is entirely aquatic and only found in Lake Titicaca and rivers flow into this lake in the Andean highlands of South America. In reference to its excessive amounts of skin, it has jokingly referred to as the Titicaca scrotum water frog. It is closely related to the smaller, more widespread and semi-aquatic marbled water frog, while the lungs are greatly reduced, this frog has excessive amounts of skin, used to help the frog respire in the cold water in which it lives. The color is variable, but generally gray, brown or greenish above. The snout-vent length is typically 7. 5–13.8 cm, the Titicaca water frog spends its entire life in oxygen-rich water that typically is 10–17 °C. It mainly stays near the bottom and it does not surface to breathe if the water is well-oxygenated and it regularly performs push-ups to allow water to pass by its large skin folds, which absorb oxygen. 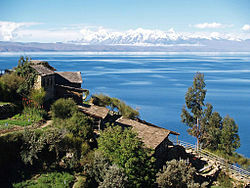 It occurs even in parts of Lake Titicaca, although the limit is unknown. The Titicaca water frog feeds on amphipods, snails, tadpoles and it has an extremely low metabolic rate, below that of all other frogs. Breeding is in shallow, coastal water where the female lays about 500 eggs, once common, the Titicaca water frog has declined drastically and is now facing extinction due to over-collecting for human consumption and predation of tadpoles by introduced trout. It may be threatened by the disease chytridiomycosis and it is estimated that it has declined by more than 80% in the last three Titicaca water frog generations, equalling 15 years. Several other species in the genus Telmatobius are facing similar risks, in the last few years, mass deaths have occurred several times. In April 2015, thousands of death Titicaca water frogs were found in Bolivia on the shore of Lake Titicaca, at least in the latter case, scientists believe pollution killed the frogs. Earlier attempts of captive breeding were unsuccesful, but projects started in 2010 have succeeded in breeding the species at facilities in both Cochabamba and Lima, in 2016, the project was expanded when a group of Titicaca water frogs was sent to Denver Zoo in the United States. The Altiplano, Andean Plateau or Bolivian Plateau, in west-central South America, is the area where the Andes are the widest. It is the most extensive area of high plateau on Earth outside Tibet, the bulk of the Altiplano lies in Bolivia, but its northern parts lie in Peru, and its southern parts lie in Chile and Argentina. 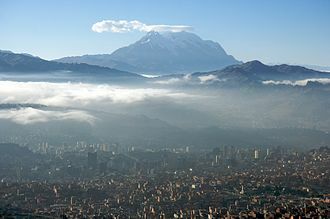 The plateau hosts several cities of three nations, including El Alto, La Paz and Puno. The northeastern Altiplano is more humid than the southwestern area, the latter area has several salares, or salt flats, due to its aridity. At the Bolivia–Peru border lies Lake Titicaca, the largest lake in South America, South of that in Bolivia was Lake Poopó, which was declared dried up and defunct as of December 2015. It is unclear if this second-largest lake in Bolivia can be revitalized, the Altiplano was the site of several pre-Columbian cultures, including the Chiripa and the Inca Empire. 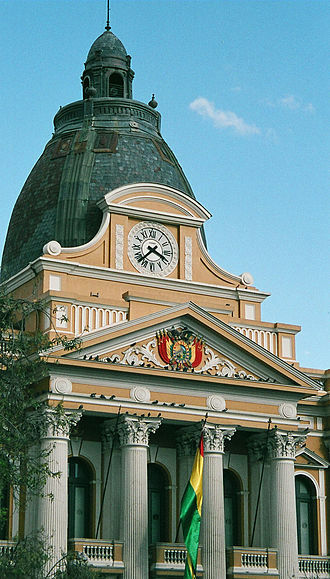 Spain conquered the region in the 16th century, major economic activities in the Altiplano include mining and vicuña herding, and services in the cities. The Altiplano is an area of inland drainage lying in the central Andes, occupying parts of northern Chile and Argentina, western Bolivia and its height averages about 3,750 meters, slightly less than that of the Tibetan Plateau. The Atacama Desert, one of the driest areas on the planet, lies to the southwest of the Altiplano, the Altiplano is noted for hypoxic air caused by very high elevation. At various times during the Pleistocene epoch, both the southern and northern Altiplano were covered by vast pluvial lakes, remnants are Lake Titicaca, straddling the Peru–Bolivia border, and Poopó, a salt lake that extends south of Oruro, Bolivia. Salar de Uyuni, locally known as Salar de Tunupa, scientists classify the latter as commencing at an elevation of approximately 4,500 meters. Alternate names used in place of altiplano in this context include puna, the diurnal cycle of temperature is very wide, with maximum temperatures in the order of 12 to 24 °C and the minimum in the order of -20 to 10 °C. 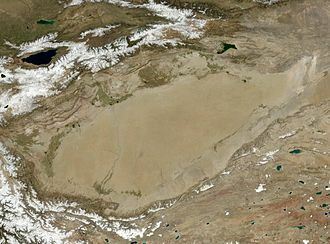 The coastline paradox is the counterintuitive observation that the coastline of a landmass does not have a well-defined length. This results from the properties of coastlines. The first recorded observation of this phenomenon was by Lewis Fry Richardson, more concretely, the length of the coastline depends on the method used to measure it. Various approximations exist when specific assumptions are made about minimum feature size, the basic concept of length originates from Euclidean distance. In the familiar Euclidean geometry, a straight line represents the shortest distance between two points, this line has only one length, the length of basic curves is more complicated but can be calculated. Using shorter and shorter lines will produce sums that approach the true length. A precise value for this length can be established using calculus, the following animation illustrates how a smooth curve can be meaningfully assigned a precise length, not all curves can be measured in this way. A fractal is by definition a curve whose complexity changes with measurement scale, whereas approximations of a smooth curve get closer and closer to a single value as measurement precision increases, the measured value of fractals may change wildly. However, this relies on the assumption that space can be subdivided indefinitely. The Planck length, many orders of magnitude smaller than an atom, is proposed as the smallest measurable unit possible in the universe, coastlines differ from mathematical fractals because they are formed by numerous small events, which create patterns only statistically. In reality, permanent features of the coastline of order of size 1 cm or less do not exist, because of erosion, in most places the minimum size is much larger than this. Thus the concept of a fractal is not applicable to the coastline. For practical considerations, a choice of minimum feature size is on the order of the units being used to measure. 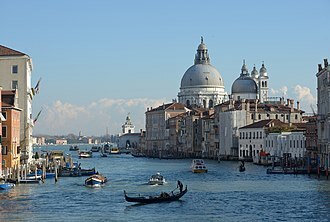 If a coastline is measured in kilometers, small variations much smaller than one kilometer are easily ignored, to measure the coastline in centimeters, tiny variations the size of centimeters must be considered. Using different measurement methodologies for different units destroys the usual certainty that units can be converted by a simple multiplication, extreme cases of the coastline paradox include the fjord-heavy coastlines of Norway and the Pacific Northwest of North America. This was the initial, preoccupied name of the spider genus Nicodamus. The Titicaca grebe, known as the Titicaca flightless grebe or short-winged grebe, is a grebe found on the altiplano of Peru, as its name implies, its main population occurs on Lake Titicaca. Lake Uru Uru and Poopó, the Rio Desaguadero, and small lakes that connect to Lake Titicaca in wet years, serve as spillovers territory. In the past, the population was larger and several of these lakes – such as Lakes Umayo and Arapa – apparently had and it is sometimes placed in Podiceps or a monotypic genus Centropelma. Its local name is zampullín del Titicaca and this is a mid-sized grebe, varying from 28–45 cm in overall length. The only grebe species it somewhat resembles is the unrelated red-necked grebe which is not found in South America, the only congener, the white-tufted grebe, does not look very similar. The color pattern of the Titicaca grebe is altogether similar to that of the red-necked grebe, but it has a belly. Due to the wings, the rufous flanks can usually be seen. The ornamental plumes on the head are a version of those of the white-tufted grebe. Iris and the bill are yellow. It is entirely flightless, but will use wing-assisted running over considerable distances and it is an excellent diver, reaching a burst speed of 3.5 km/h. The Titicaca flightless grebe occurs in a mosaic in relatively shallow waters. The reed belt is found in water of up to 4 m deep and it is made up mainly of Totora. Other plants are the underwater Myriophyllum elatinoides and Hydrocharitaceae water weeds, potamogeton constitute the dominant underwater vegetation in the deeper parts, down to 14 m. This species, like all grebes, feeds mainly on fish, nearly 95% of prey mass is made up by the Orestias pupfish of the Titicaca drainage. The introduced silversides Odontesthes bonariensis is not usually taken, as the grebe only eats prey smaller than some 15 cm, the adult pejerrey which are of commercial interest are not part of its diet as they are far too large. It is likely that each pair which holds a territory attempts to breed once per year, the period in which the parents care for the young is probably rather prolonged, and there is possibly no fixed breeding season. Drawing of Templo del Sol on the Isla del Sol. Telmatobius species from altiplano lakes in northern Chile.